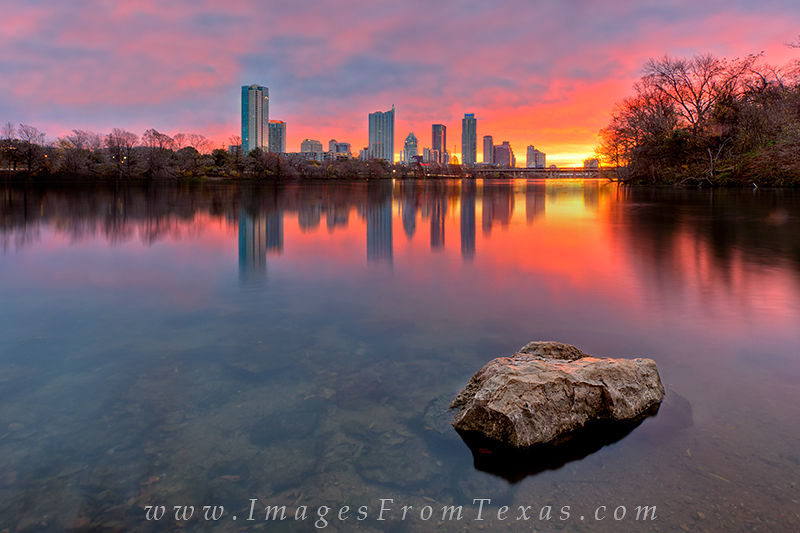 It was cold on this morning as I arrived at Lou Neff Point to photograph the Austin skyline. Still, the light was amazing and the scene from Lou Neff Point across Lady Bird Lake will always keep me coming back. The Zilker Park Trail offers many views like this and it is always fun to explore new locations of the capitol city of Texas. Photo © copyright by Rob Greebon.